The Flybook has been delivering reservation solutions since 2006 which enables us to be acutely aware of the service value and features that are required of adventure parks and zip line operators. We have been listening to our customers for over a decade now and have focused on making our platform feature-rich and customizable. Two main topics arise over and over as it relates to business growth: how do I sell more to groups? And, how can I provide the best experience possible for my guests so they keep coming back? Outlined below are just 5 key features adventure park and zip line operators can take advantage of when using The Flybook. Group sales have proven to be one of the most stable channels to drive revenue at adventure park and zip line operations. These types of reservations are so valuable because they typically fall outside the normal variability like consumer demand and behaviors. Group sales strategies can be so much smarter and more profitable than relying entirely on 3rd party OTAs or coupon sites to fill up in your downtimes. There are several ways you can approach groups and bundled packages. The driving philosophy is that not only do groups fill your downtimes, but they are also ripe for returning customers. For example, the data shows the average birthday party has 10 kids, about half of which have never been with you before. This is representing a reach of five NEW families. If shown a fantastic time and great experience, they’ll come back. At The Flybook, we have features designed specifically to deploy creative strategies when it comes to group sales. Summarized below are just two simple but impactful features to help give some actionable steps to boost your group sales. With bundling, or packaging, the customer is likely to focus on the total experiential value and try features that they may not have otherwise. The Flybook’s “packaging” feature, the system can join together multiple ticket and product offerings for a package price. When your client chooses the package, your calendar is automatically populated and availability secured for each item in the package. Added bonus: you allow your reps to focus on recruitment of larger and more profitable corporate and school groups! Managing large groups can be extremely time consuming for your staff. The goal is always to have waivers signed ahead of time, with balances paid in full. Not only is it possible to automate the “management” of groups and empower your clients to manage their group without you, your clients (more often than not) want this. As a group organizer, if they are in charge of their special event, they want everything to run smoothly. And, with the right tools, they will take care of many of the details. 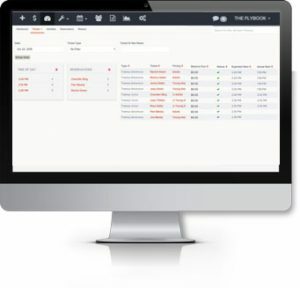 With The Flybook “client terminal”, your clients are given a tool where they can share and track who has signed waivers, manage payments from their group members and collect profile information. When a waiver is signed or payment is made as part of the reservation’s client terminal, that waiver and payment is also tied to the reservation in your back-office version. This affords your group sales reps with more time to find new business and sell more tickets. Create a lasting positive impression with every customer. Your check-in process is often your first impression with guests. This part of the day should feel effortless and exciting and yet, it is often a point where systems break down, groups create bottlenecks, and vital details get overlooked. From our experience working in the adventure industry, we’ve felt these check-in pain points first hand and worked to create solutions for each part of the process. Here are the top 3 ways to dramatically improve your check-in experience and create a lasting positive impression with every customer. People hate waiting, standing in long lines, filling out complicated forms, and repeating themselves. What we’ve seen work: have a strict policy communicated broadly that requires guests to sign waivers and pay in advance. This means little time spent waiting and a streamlined check-in system where guests get to move on to the adventure right away. In addition, it guarantees you have vital information for every guest at your fingertips should an emergency occur. With The Flybook’s integrated waiver system and a daily list dashboard, signed waivers associate directly to a ticket automatically and your check-in host can see very clearly who has signed waivers and who has not, any product add-ons (photos, gloves, or other options purchased online), and red flags — ensuring guests are able go through check-in quickly and get to their adventure with a great first impression. Kiosks improve customer satisfaction by shortening check-in wait times, transaction times, and enhancing logistical flow. 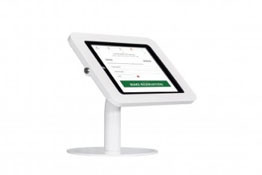 Implementation of a kiosk interface can reduce queues by over 30%, which can be an impactful first impression for a new customer and turn them from one time visitors into lifelong fans. Especially during peak times, this aids your employees in being more efficient and reduces the stress and chaos of long lines. Have a gift store, snack bar or gear to sell onsite? Make these add-on purchases as easy as possible for customers at check-in and they will be more likely to buy. The process should be as simple as scanning the item and collecting payment, with no need to collect additional information. 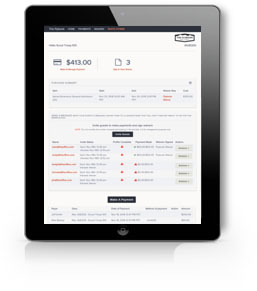 The Flybook includes a stand-alone point of sale feature to help you quickly sell and manage inventory. Connect a barcode scanner so it’s simple, easy, and fast for both your guests and your staff. 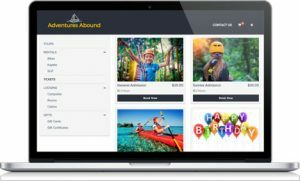 The Flybook is the most advanced booking software for adventure parks and zip line who know they need more from their reservation software in order to GROW. You’ll sell more, make data-informed decisions and give your guests a more positive experience from booking to arrival. Discover all our services for adventure parks and zip line to see the benefits for your business. This content has been sponsored by The Flybook. Megan Langer is the co-founder and head of marketing at The Flybook, a reservation and ticketing software that many adventure parks, zip lines and other activity providers use to support their business operations. Megan works daily with builders, owners and managers on understanding, and helping to solve, day to day operational challenges with software tools. Learn more at theflybook.com.